I seriously love this polish. So much so that I've worn it three times already. No joke, three times and I've only had it for a few weeks! The base is most definitely a match for Pantone 18-1483 aka Marsala. But the holo gives it so much dimension I could just squeal! Of course, I couldn't stop with just one photo. Hello beautiful holo! Have I mentioned how much I love holographic polishes? Or how well KBShimmer has mastered holographic creations? Men Are From Mars-ala isn't just a gorgeous take on the Pantone color of the year for 2015. It's also a dream to apply. This is two coats over clear sculpted gel nails. It is perfectly opaque in two coats! You know I couldn't resist adding a little stamping, right? I mean, this is the third time I've worn it in less than 15 days. Gah! Look at that gorgeous holographic effect! Even the black stamping doesn't slow it down. The stamp does darken the color a bit, but the rainbow is strong as ever. Ok, ok...the details. The stamping polish is Mundo de Unas black and the image is from Cici&Sisi 12 from Cici & Sisi Set 2 . Wanna see it a little closer? Of course you do! What do you think of Marsala as the Pantone color of the year? 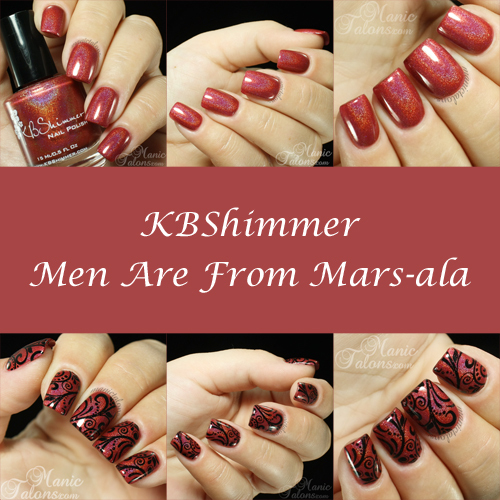 If you aren't a fan of Marsala, does KBShimmer's Men Are From Mars-ala change your mind? *Men Are From Mars-ala was provided by KBShimmer for my honest review. 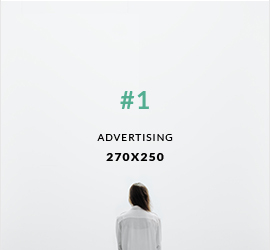 This post uses Amazon Affiliate links. Purchases through those links generate commissions that help fund this site. All other links are courtesy links and do not benefit manictalons.com. But if you put marsala on a kitchen full of gorgeous people, it looks fantastic. ;). Love the polish. This is a gorgeous polish and your swatches of it are fantastic! I agree with you - color is meh, but that polish - ooh-la-la! I might have to purchase and use in an SOG/RNP sandwich or create an SOG with Gelibility. What a great polish! Your stamping is awesome, the design really suits the base!